Kate married the gorgeous party boy, Aubrey married up, and Jenny married the boy next door. But how can these three women love and hate each other? Can feelings this strong lead to murder? 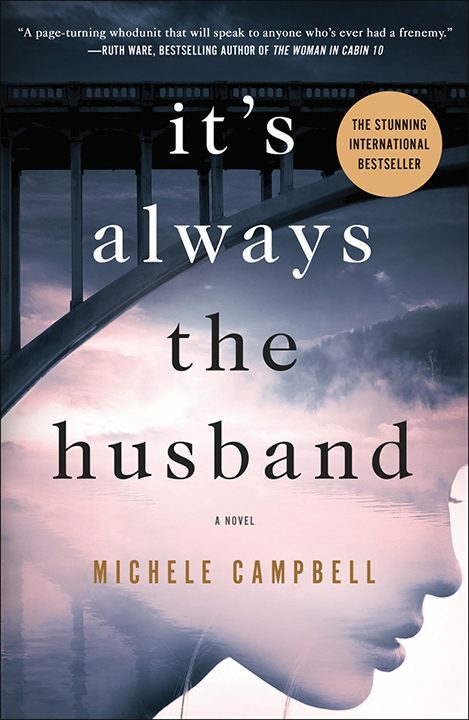 When one of them dies under mysterious circumstances, will everyone assume, as is often the case, that it’s always the husband? 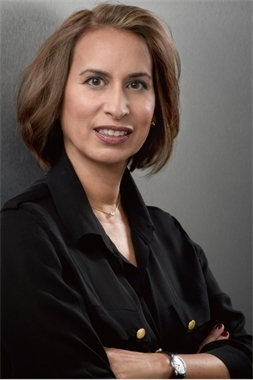 A graduate of Harvard University and Stanford Law School, Michele Campbell worked at a prestigious Manhattan law firm before spending eight years fighting crime as a federal prosecutor in New York City. Michele is the author of She Was the Quiet One and It’s Always the Husband. 1. Jenny, Kate, and Audrey have three very different experiences of privilege and class. How do you see these differences manifesting themselves in both small and large ways throughout the novel? How much do you think each woman’s privilege (or lack of) can explain or excuse her behavior? 2. Though we are aware that something terrible has happened, we as readers don’t find out what it is until halfway through the novel. How does this unusual structure affect your reading experience? Does withholding this information cause you to change the way you read or interpret the story? Did you predict what was going to happen or were you taken by surprise? 3. The three women at the center of It’s Always the Husband met and became friends during a particularly tumultuous time in their lives: their freshman year of college. Do you have any friends or roommates from your freshman year of college that you formed a particularly intense or impactful relationship with? What do you think is different about friendships made during an intense period of change? 4. At one point in the novel, Jenny has to make a difficult decision between telling the truth and speaking out to power, or benefiting from lies. Do you think her behavior is logical or cutthroat? What do you think you would do if you were faced with a similar decision? 5. We get to read about the main characters as both young adults just starting their lives and twenty years later, as people with careers and families. Were you surprised by some of the choices that the characters made in those twenty years? Did they end up where you expected them to be? Why or why not? 6. Throughout the novel, many of the characters face some kind of abyss, whether literal or metaphorical. Where can you see this in the book? What significance do you think this recurring motif has? 7. Jenny’s husband Tim calls Kate’s death in the river “poetic justice” for her previous actions. Do you agree with this, or do you think Tim’s comment was in poor taste? Why do you think this? 8. After Kate is found dead, there is a lot of debate about how the police in Belle River should handle the investigation. What did you think of Chief Rizzo’s approach, especially his appropriation of extra funds and ignoring some evidence? How do you think his prior relationship with Kate affected his judgment? 9. Near the end of the book, the author writes, “It dawned on Griff that for the rest of his life, people would wonder if he had murdered his wife.” What do you think of this statement? How do you think you would feel if you were in Griff’s situation? How does knowing the end of the novel change the way you think about this statement? 10. Did you have a personal theory about who was behind the death in the second half of the novel, and if so, what was it? Were you shocked by who was actually responsible? She stumbled through the dark woods, the trees dripping raindrops onto her hair and her party dress. Her shoes were covered in mud, and she trembled from the cold. She was out of breath, and her feet were killing her. It wouldn’t be good for the baby if she tripped and fell. Then they rounded a bend. She got an open view ahead, and knew finally where they were. When she saw the ghostly shape looming in the distance, she stopped dead. In a matter of minutes, they reached the foot of the bridge. A frigid wind blew in her face, carrying the scent of decaying leaves and ice-cold water. There were barriers across the bridge now, blocking access, and a profusion of warning signs. Danger. Private Property. No Trespassing. The signs were there for liability reasons, but from what she understood, the local kids still loved to make the breathless leap into the river. The more people who died here, the bigger the dare. Kids had no fear; they were young, and didn’t know better. She could have told them. Somebody dies, and it changes the lives of those left behind, forever. “I don’t know what kind of point you’re trying to make, bringing me here,” she said, her voice shaking with tears. But she didn’t turn back. They walked forward a few paces, stepped over an old, tumbled-down metal fence and kept walking until they got to where the center of the bridge used to be. There it was, the abyss that he’d fallen through, the night he disappeared forever. She looked down and saw the water roiling against the rocks. The town had done a crappy job of boarding it over. They’d “fixed” it many times in the intervening years, but they were too cheap for the one fix that would work, which would’ve been to tear the evil thing down once and for all. Below, the water swirled and foamed. She could hear the roar from up here, over the pounding of her heart. “No,” she said, backing away from the edge.